This weblog is a news commentary outlet that offers news, blogs, and original content and covers politics, business, entertainment, environment, technology, popular media, lifestyle, culture, comedy, healthy living, women’s interests, and local news. 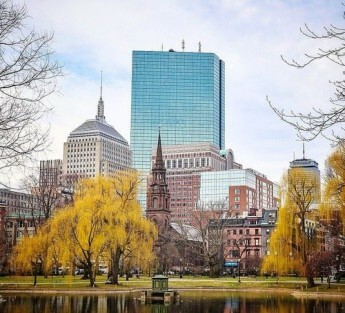 All of this coming from the greatest city that has ever existed, or that will ever exist… Boston! I am a professional freelance writer, available at an hourly rate which varies, depending on the project, typically depending on how much research is involved. I use this website as a reference for my freelance writing… where potential customers can view examples to see if my style and expression fits their needs. I can write, edit, proofread, and/or ghostwrite any type of document or article you wish. Upon request, I can give you a breakdown of a document’s syntax, and list all adjectives, nouns, adverbs, verbs, prepositions, and conjunctions. I can also provide the number of characters, words, sentences, and the approximate reading time of a given document. I also use this website to promote my legal consulting business. I can provide legal research to assess a client’s strengths and/or weaknesses in an impending suit and discuss the all important subject of damages. I can also assist with contract review and preparation. My work is also available through websites including www.fiverr.com and www.freelancer.com where buyers can purchase services through an established third party using well-known financial websites like PayPal. In addition to these reasons, I’ve decided to use this website to promote common sense through well-written articles, news stories, and other interesting posts. I encourage others to participate in this journey! So you say your’r now living in Philadelphia despite being being born and raised in Boston-? small world, I have relatives in Philly who I spend( occasionally) Thanksgiving with- I hope to go this year!